One of the most commonly-used processes on my computer is the ability to create a shortcut icon on the desktop. Just right-click on a a file and choose “Send to” and then “Desktop-create shortcut”. But sometimes that little “create shortcut” item can disappear from your “Send to” menu. Here’s how to get it back. If there’s a particular program or file that you need access to all the time, the easiest and quickest way to get to it is if you have an icon for it on your desktop. But that icon should not be the actual file or folder – it should just be a shortcut to the file or folder. 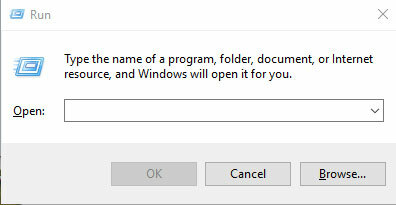 So you just do a right click on the file name, then you put your mouse over “Send to” and in the menu that appears, you click on “Desktop – create shortcut”. And like magic, there is now an icon on your desktop for quick access to that program or file. This is something I do all the time, either for my own for computer or for a client, and it’s really handy. But at some point when you try to do this, your computer might throw you a little curveball. 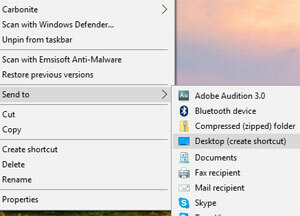 You put your mouse over “Send to” – but in the Send To menu, there is no option to create a shortcut on the desktop. It has just disappeared. The other items are listed there, but not that one. What’s going on? Why is it gone? Where did it go? I wish I could tell you. I don’t see this happen all that often, and I don’t know what causes it to disappear. But I do know how to get it back. 1. Hold down the Windows key on your keyboard, and tap the letter R to bring up the RUN dialog box. 2. In that box, type shell:sendto and hit Enter. This opens the “Send To” folder. In the computer’s file structure, that Send To menu is just that, a folder. Which means you can put things in it. 3. 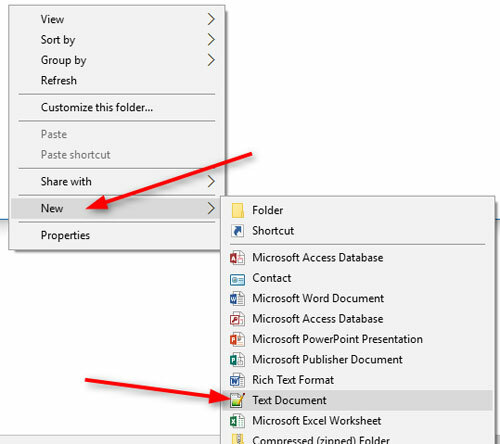 Somewhere in the blank area of that folder, do a RIGHT click and select New – Text document. Now you’ll have a new text file there with the name New Text Document.txt. Note: on that rename process, you have to make sure you rename the entire file AND the “.txt” extension. You will probably get a warning that changing the extension of a file might make it work differently, etc. but that’s fine. So when you’re done, this file won’t end with “.txt” any more – it will just be “Desktop (create shortcut).DeskLink”. And that’s it. Try it out by creating a desktop shortcut to a program or file, and you’ll see that you have that great feature back again and available to be used.